Gentlemen, this one's for you. 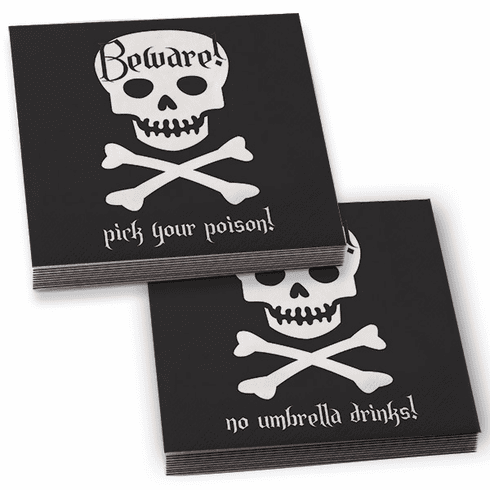 One side says " pick your poison, the other "no umbrella drinks", all in good fun. They're perfect for a stiff one or appetizers. 20 napkins per pack.